You may be thinking that news related to Disney•Pixar may be slowing down a bit since the D23 Expo has wrapped on Sunday evening, but that's not the case. 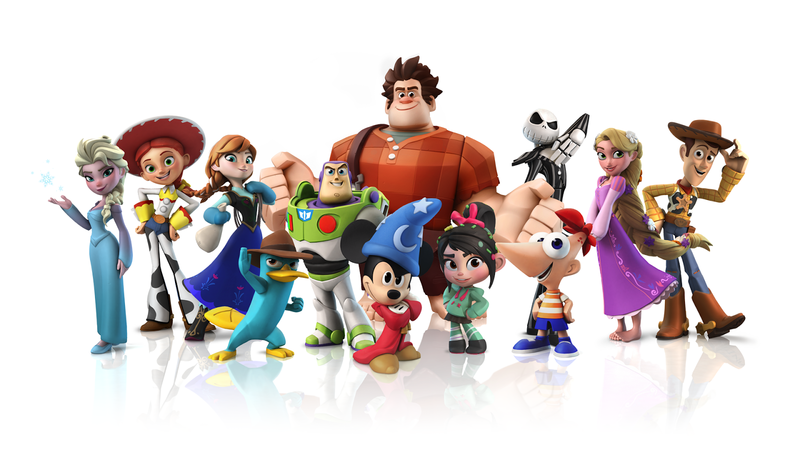 In just a few more days, Disney Infinity, Disney Interactive's biggest and most ambitious video game to date will hit store shelves - August eighteenth to be exact. In addition to the many Pixar related play sets that we're already aware of (Monsters University, The Incredibles and Cars), we now have the official announcement of the new Toy Story in Space play set. "Toy Story in Space will be the sixth play set to be released in October and features Buzz and Jessie in the play set pack, with Woody sold separately. Players can go on a new space adventure with the Toy Story gang as they help to relocate the Pizza Planet Aliens to a new world. Explore and discover the secrets that lay below the surface of this new planet and unlock Space Ranger equipment to help defend the new colony and friends. The Toy Story in Space play set introduces hoverpacks, jetpacks, laser blasters, goo blasters, new mounts and more into the Toy Box mode." Additionally, we are also excited to pass along additional details regarding the in-game soundtrack which will accompany your gameplay in the Toy Box mode. As you could imagine, the soundtrack is packed with great Disney and Pixar music pulled straight from many of our favorite films - featuring the music of Daft Punk, Danny Elfman and Michael Giacchino. The various songs can be unlocked by placing a Power Disc on the Disney Infinity base - for instance, if the WALL-E Power Disc is used, then the self-titled Thomas Newman song, WALL-E can be heard in Toy Box mode - how cool is that? The full list of existing songs that you can access are: Pixar songs are linked to hear a sample. 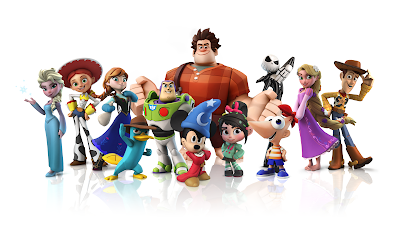 Once you get the started with Disney Infinity, you'll have a little bit of a ramping up period as you get get acclimated with the game. The folks at Disney Infinity want to help you get up to speed as quick as possible and they have put together a series of how-to videos that show you how to utilize the Toy Box mode to its full potential. Be sure to check out the video to get a glimpse at how to use the "repeater Creativi-Toy" in the game as well as how to link action buttons. To view the remaining four how-to videos, head over to this post in the Pixar Post Forum - then, once you get the game, feel free to upload your own how-to videos there as well to help teach other fans your best tips and tricks!